Drape your wrist in an instant classic with this iconic Kate Spade New York® Heritage Spade Thin Enamel Spade Button Bangle! Enamel covered, plated metal bangle with iconic spade logo. 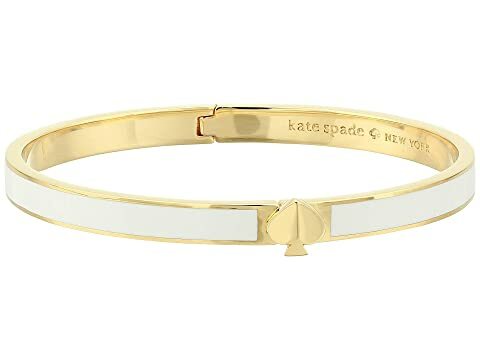 We can't currently find any similar items for the Heritage Spade Thin Enamel Spade Bangle by Kate Spade New York. Sorry!